Any allergies? Please tick this box and specify in Other Health Concerns *Medical reactions only, please. Let us know if you are Vegetarian or Vegan or some variation thereof. If you have medical food allergies, you can tick the box and then give more details in the Other Health Concerns area further on in the registration form. For allergies, this is for medical reactions not taste preferences, please. We cater and/or prepare three healthy meals each day during the on-site course modules. The meals are seasonal, locally sourced, and organic whenever possible. Most meals are vegetarian or nearly so, but depending on the dietary makeup of the class, we do introduce local, sustainable, safe-listed, seafood choices and/or organic chicken in some of our dishes on occasion. We design Ayurvedic menus to educate as well as ensure all students have options to cover their dietary needs during the course. You can select multiple values, ex: You are vegetarian but will eat seafood or chicken, select both Pesco and Pollo Vegetarian. Modules 1-7 are prerequisites to taking Module 8. If you have any social media accounts (Facebook, Twitter, Instagram, Pinterest, YouTube, Vimeo), we'd love to follow you. Please share them below. Did someone refer you to PYTI? If so, please let us know their name so we can thank them with a membership upgrade! Please let us know why you want to expand your knowledge of medical therapeutic yoga with PYTI. You need to have at least a basic knowledge of yoga to participate in class. Do you have any health concerns which would prevent you from full participating in, teaching, or assisting others in class? Do you have any food allergies or sensitivities (medical only, please) we need to know about for catering? I agree to the below terms and conditions. For courses held in the USA, I understand that payment is due in full on registration and $250 of my payment is non-refundable. I do not agree to below the terms and conditions. 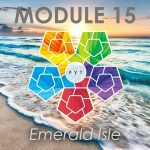 This Module will be held in Emerald Isle, NC. All meals are included. 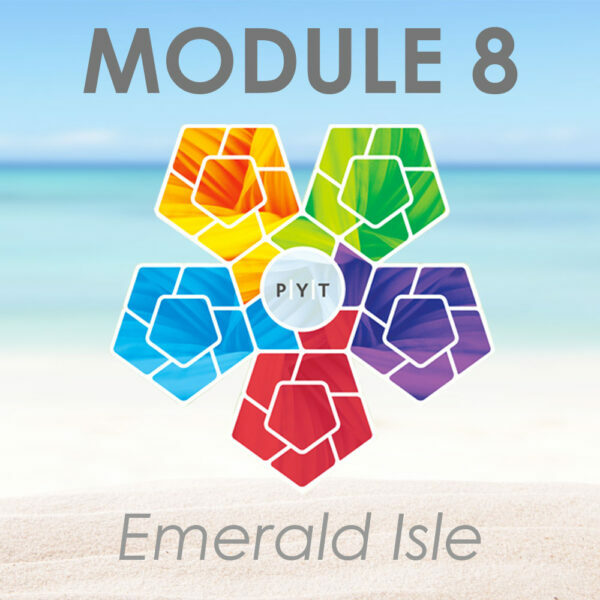 Module 8 is the first of three on-site modules that make up the practical, applied lab portion of the PYTI® certification program. This course puts the lectures of Modules 1-7 into motion with the application of the concepts learned in those prerequisite distance modules. Please Note: In order to register for this course you must agree to all Terms & Conditions (link opens in a new window), which includes course cancellation and refund policy. Module 8 is the first of three on-site intensives which allow the students to assimilate and apply all objectives learned from Modules 1-7. Module 8 allows students to critically evaluate and practice the following objectives, learned in an interactive post-graduate lab format with their peers. Apply the 10 MTY precepts to your clinical demographic and practice in order to increase clinical efficacy and safety of yoga prescription in healthcare and wellness care. Discuss the interrelationship of psychotherapy and rehabilitation in the clinical practice of MTY. List public health and clinical practice implications of MTY. Identify quantitative and qualitative characteristics of outcome measures used in Professional Yoga Therapy (PYT). Demonstrate understanding of the FMA algorithm in the context of evaluation, diagnosis, and prescription in clinical practice. Demonstrate multidisciplinary knowledge of indications and contraindications for practicing PYT Level I and II postures as prescriptive movement and/or manual therapy in medicine and rehabilitation. Critically analyze physical yoga movement and respiratory therapies and their modifications in a lab setting. Complete case studies via real time assessment with your peers using live models and/or case presentations. Integrate cardiorespiratory principles into rehab practice in a lab setting. Prescribe MTY sequences for individual and group-based therapy wellness and pathophysiological-based therapies. 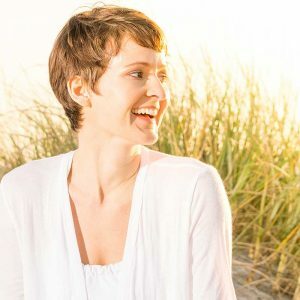 Demonstrate knowledge of the guidelines to practice, teaching, manual cuing, and instruction in yoga postures, hand postures, breathing techniques, and meditation. 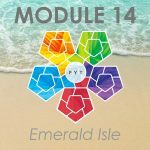 Integrate the scientific theories introduced in Modules 1-7 into practical clinical yoga prescription and practice. Describe the code of ethics for becoming a Professional Yoga Therapist. Practice the tenets of stabilization in the context of “pre-postures” and yoga postures as therapeutic exercise and intervention in an interactive lab setting. Practice evidence-based yoga to address multi-joint and systemic stabilization in an interactive lab setting. Verbalize the tenets of safe neural mobilization within professional yoga therapy (skilled, licensed care) practice. Identify how myofascial and neurovascular restriction can be addressed through medical therapeutic yoga. Utilizing current science, apply the 7 requisites for stabilization to standing postures aligned in the MTY method. Demonstrate 4 blanket-folding techniques for postural modification. Experience daily meditation and postural practice sequences. Synthesize yoga philosophy into current evidence-based clinical practice in order to construct plans of care for persons with complex medical histories. Complete business matrix analysis, including understanding legal documentation requirements for implementing business models for private or public integrated organizational medical practice. Understand coding and billing impact practices for licensed health care professionals who become Professional Yoga Therapists. Safely sequence and prescribe therapeutic yoga in realtime clinical environment(s) with your peers, using appropriate east/west medical terminology, and evidence based MTY methods. Safely prescribe and prescribe therapeutic yoga in an oral practical setting with your peers. Complete and pass a Mid-Term Examination to demonstrate educational competency and proficiency of the skills learned at Module 8/Yoga as Medicine I. Meals Package (add-on option for meals available for commuter students). 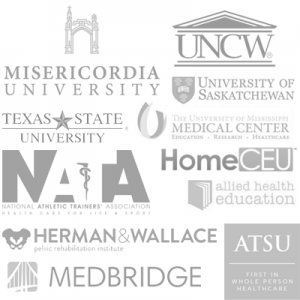 PYTI® is a NC PT Approved Provider. Other states reciprocate with NCPTA Provider Recognition. Check with your state to determine eligibility. 2 yoga blankets (Mexican blankets work best). Do not bring cotton throws or irregularly, non-matching sized blankets. All materials are mandatory for completion of the course.